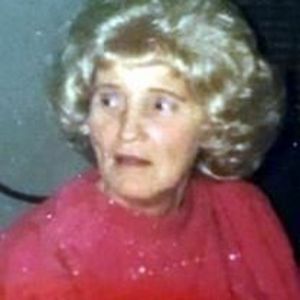 Goodney "Christine" Waddell, 90, went home to be with the Lord on January 15, 2018. Born on December 12, 1927 in Warren County, she was the daughter to the late Riley and Florence Dickerson Mosley. Christine was a member of Crestview Baptist Church. She was a loving and caring mother and "Grandma". In addition to her parents she is preceded in death by her first husband, Silas G. Bowes, second husband, Melvin Waddell, daughter, Barbara Meadows, two grandchildren, and three sisters. Left to cherish her loving memory are her children, Melvin (Linda) Bowes, Donald (Donna) Bowes, Jeannette (Eugene) Garner, Ronald Bowes, Patsy (Danny) Ochs and Jerry (Shelley) Myers; 19 grandchildren, 38 great-grandchildren, 8 great-great-grandchildren; sister, Ann Anderson and many other loving family members. A funeral service will be held on Friday, January 19, 2018 at 3pm at Crestview Baptsist Church. Burial will follow in the church cemetery. The family will receive friends from 2-3pm at the church prior to the service. In lieu of flowers the family asks you make memorials to the church in her name. Bunch-Johnson Funeral Home is honored to be serving the Waddell/Bowes Family.